The Sons of the San Joaquin sound first took shape in the Great Central Valley of California in the shadow of the mighty Sierra Nevadas. That’s where the Hannah family migrated during the Depression from Missouri. “There were some prominent cattle ranches there,” remembers Jack, “and that’s where our romance with cowboys began. Our Dad became a fan of The Pioneers back in the ’30s, and he’d sing a lot of those songs at home. We learned our first ones from him, and became great fans of theirs, too.” The Hannah brothers, Joe and Jack also learned a lot about harmony singing in church, and soon were in great demand in the Central California Valley as a vocal duo. The trio got its big break when they were invited to perform at the 1989 Elko Poetry Gathering. Their appearance there caused a sensation. In the course of a weekend, they vaulted from total obscurity to sharing the main stage with Michael Martin Murphey, who immediately invited them to join him on his first Cowboy Songs album. In 1992, Warner Bros. Western label released A Cowboy Has To Sing. This was followed in 1993 by Songs of the Silver Screen, which revived B-movie soundtrack material recorded by The Pioneers, some of which had never been released on disc. In 1995, Warner Western released From Whence Came The Cowboy, a career milestone that featured Jack Hannah’s highly praised originals. The title track, a tribute to the history of the cowboy, became a critically acclaimed video. 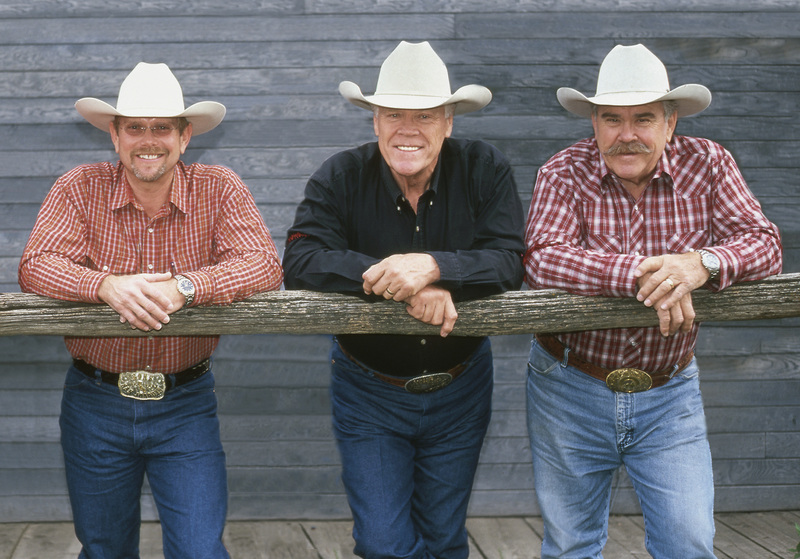 In 1997, the Sons released their first recording with Western Jubilee Recording Company, Gospel Trails, a special project featuring some of the Hannah’s favorite hymns, sung in their signature cowboy harmony style. One of the selections, “In The Sweet By and By,” features a special appearance by Dale Evans Rogers as lead vocalist. In addition to their many concert appearances, The Sons’ subsequent award winning Western Jubilee Recordings Horses, Cattle & Coyotes, Sing One For The Cowboy, and 15Years: A Retrospective all feature Jack Hannah’s wonderfully crafted original Western compositions. With such authentic commitment to their material, it’s no wonder that a number of avenues of expression have opened for this dynamic trio. Television appearances include the Grand Ole Opry and Austin City Limits. Their live performances range from rodeos in the West to New York City’s Carnegie Hall. The Sons’ appearance at the House of Blues in Los Angeles found their longtime supporter, actor Ed Harris providing a glowing introduction. They currently offer a Sons With Symphony program, combining Western music with orchestral accompaniment worthy of the grandest horse opera. Joe Hannah’s vocal and arranging skills, while accompanying the group on upright bass, is the Sons patriarch if not the patriarch for the entire genre. Younger brother Jack, now recognized as Western music’s number one songwriter with repeated Songwriter of the Year awards from the Western Music Association and recipient of one of the industry’s top honors, the Wrangler Award from the National Cowboy and Western Heritage Museum. Also recognized by the Cowboy Hall of Fame, Jack continues to write for his critically acclaimed children’s series Read, Rite & Recite. The series of books, CDs and videos feature Dusty Trails (Dr. Gary Sells), The Sons and special guests including Jack Palance. Group founder, Lon Hannah provides lead vocals and pure high harmonies. The Sons’ release, Way Out Yonder, on Western Jubilee, was produced by Rich O’Brien. In April 2006, it received the Wrangler Award for Outstanding Traditional Album. Johnny Western, member of both the Western Music Hall of Fame and Country Music Disc Jockey Hall of Fame, writes: “When the late King of the Cowboys Roy Rogers said The Sons were the closest thing to the legendary Sons of the Pioneers (which he founded), he knew of what he spoke.” 2009 finds the Sons first live recording. Backed by Rich O’Brien and Steve Story, Live, Western Jubilee Warehouse is available on both CD and DVD formats. A Cowboy’s Song, a cowboy masterpiece released by Western Jubilee in 2011, features ten new Jack Hannah western classic compositions, produced by and performed with guitar legend, Rich O’Brien. The Hannah family legacy continues and in 2015 they continue to perform select dates, mostly in the Western United States. 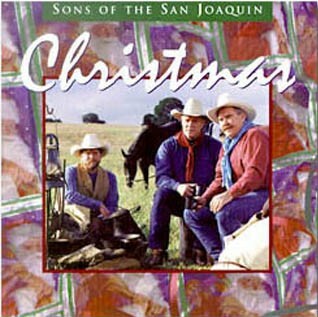 Their uncanny vocal blend and true love of Western music have made the Sons of the San Joaquin the barometer for all Western harmony groups.